MACRA and MIPS changed the healthcare reimbursement landscape beginning in 2016. Two years later, providers have largely adjusted to the new rules, are meeting the reporting requirements, and have now turned their attention to finding ways to improve their performance. In this episode of the eCW Podcast, host Adam Siladi and Pooja Shah, a senior analyst at eClinicalWorks, sort out what’s new, what’s changed, and what providers need to know in order to continue to succeed. Adam Siladi: Four years ago, we began the Podcast speaking about the Meaningful Use program, and how that was going to affect providers. And just two years ago, our most-watched episode was in 2016, when the MACRA Final Rule came out, so we could help providers prepare for that. And today we’re going to be revisiting that topic with MACRA, the Quality Payment Program Year 2, on this edition of the eClinicalWorks Podcast. Hello, I’m Adam Siladi, and thanks for joining us. Today we have Pooja Shah, who is a senior analyst on our MIPS team here at eClinicalWorks, who is going to answer some questions and help providers know what they can be doing to prepare and succeed in this year’s Quality Payment Program. Pooja, thanks for joining us here today. Pooja Shah: Thank you for having me, Adam. Adam: So, I remember a couple of years ago when we were talking about MACRA for the first time, there seemed to be a lot of anxiety about this program. eClinicalWorks, of course is here to help providers through that, but I wanted to ask you, is there still that kind of trepidation about the Quality Payment Program, Year 2, MIPS, MACRA, all of that stuff? Pooja: So, yes, as we are in Year 2, I would say it has definitely gotten better. People have been more comfortable with the program and the requirements. Because it was new, everybody thinks it’s something that they’re not going to be able to meet, how are they going to handle all the changes and everything, but now that everybody knows that it’s the same incentive programs aligned into one program, it’s easier for everybody to focus on the purposes of the program, which is to give the value-based care and not the volume-based care. So it has definitely gotten better, and people have accepted it more now in year 2. Adam: Of course, like we mentioned, you’re a senior analyst on the MIPS team. We have an entire team here at eClinicalWorks devoted to helping providers through that program, and we’re going to learn from your expertise on that here today. So let’s start with some of the program basics here in Year 2 of the Quality Payment Program. How have things changed in terms of provider eligibility? Who needs to be concerned with performing in this Year 2? Pooja: So, this year there are providers who are either physicians, nurse practitioners, PAs. If they are clinical nurse specialists or CRNAs, they’re supposed to report. There are three different exclusion criteria for MIPS reporting. So, if they are newly enrolled in Medicare in 2018, they’re exempt. So, if somebody just got their license to bill to Medicare with their own NPI in 2018, they’re exempt. Also, the big change from last year to this year is that this year, if their annual Medicare-allowed charges are $90,000 or less, and they have seen less than 200 patients, they will be excluded. So, CMS has a great look-up tool on their website, on the QPP website, where a provider can just enter the NPI and it tells them, based on the NPI, whether that provider meets the low-volume threshold or no, and then, based on that, whether the provider is exempt or no. It also has more information, like their special scoring, their APM status, but that tool would be really helpful for a provider to find out, if they are eligible this year or not. Adam: So the bar for eligibility is a little bit higher. That means that providers who do less than that $90,000 or see fewer than 200 patients Medicare patients this year are exempt from that program. Now, for those people who are participating in the program, what is the reporting period this year for the program? Pooja: So, for Promoting Interoperability and Improvement Activities, it is the same as last year, as Year 1, which is a minimum of 90 days. Of course, they can do a minimum of 90 days or up to a year. But for Quality it has changed. So, for Quality in Year 1 it was, again, that minimum of 90 days requirement, but in 2018, they must report on a full calendar year. So, Quality has changed. And then there is a new category which is called Cost category. And that category also has to be reported for a full year, where, again, that’s new. It’s not something that they have to report on, because this Cost category information comes from their Medicare Part A and Part B claims, so CMS is going to do the calculation based on the claims. A provider is not required to report something outside of those claims that they are already submitting. Adam: Absolutely. And there’s information about the Cost category on that QPP.gov site. You can also look up some more information. I know from the research that I’ve done there seem to be two very big factors in that Cost component, again, like you said, new this year. It seems to be your 30-day readmission rate for your patients, and then your HCC scores, your Risk Adjustment Factor scores for your patients also plays a role in that. eClinicalWorks, of course, has some tools to help providers make sure that their HCC scores are accurate, that no coding gaps are left open, and we can certainly talk to clients who are interested in performing well in that area. Now, you mentioned another thing very quickly, kind of glossed over it, so people might not have caught up, but that was the Promoting Interoperability portion of MIPS this year, and that of course is a change from previous years, isn’t it? Pooja: So, it’s only the name that has changed. Earlier, in 2017, it was known as Advancing Care Information, but in 2018 it’s called Promoting Interoperability. So, the requirements in terms of how to meet that category remains the same. It’s the name that has changed. Adam: A little bit of a branding change, I guess, to meet some of those initiatives that are out there. Now, reporting periods. So, let’s say that providers report during those reporting periods, or they choose to skip it, or they don’t do so well. What would happen? What are the consequences of either failing to report or not performing highly in this program? Pooja: That’s one of the questions that most of the providers ask: What if I am unable to meet that full calendar year reporting for Quality? So, if you are a provider and you only wish to avoid the payment adjustment, you need to report on this whole MIPS program and have at least 15 points. So, there are categories that have different weights, and let’s say that if decide not to report on a category, that’s fine, as long as you meet at least 15 points that will help you avoid the payment adjustment. Adam: So, minimum of 15 points for those activities. What types of things would a practice have to do to earn that minimum 15 points? Pooja: So, a practice — there are a few ways you can earn those minimum 15 points. One is reporting your Improvement Activities, which is the 15% total category weight. So, if you’re reporting your Improvement Activities completely and successfully, then you’ll get 15 points, then you may not have to do any of the Promoting Interoperability or Quality, if you’re just trying to avoid the payment adjustment. The other way is reporting on your base score measures for Promoting Interoperability, in addition to some performance score measures as well. So, that will help you get 15 points. Quality — for that, if you report on any six measures — maybe you’re not performing that well on those measures, but even if you report on any five measures that are relevant to you, you will get three points for each of the measures, and that way you will get at least 15 points. Adam: Gotcha. So, there are a number of flexible ways that practices can participate, and like you said there’s plenty of information from our side to help them figure out what they might want to do. Pooja: And not to forget that Cost category, which is going to be auto-calculated, would be 10%. So that would be in addition to all these measures, or any of the categories that you’re reporting. Adam: So you get some points there, as well. Now, that’s the bare minimum, right, to avoid that negative adjustment? Am I right in saying that the negative adjustment would be about 5% this year? Adam: But that’s probably not what we recommend for practices, right? I mean, I’m sure there are practices that want to knock the ball out of the park, and if they do perform very highly in this program, there’s some additional rewards there for them, is that correct? Pooja: That’s correct. Of course, if you’re reporting, and if it’s more than the minimum reporting, you’re eligible for up to 5% incentive. But in addition to that, CMS has kept aside some funding from which you get exceptional performance bonus if your overall category score is higher than 70 points. So, that’s what now we’ve been seeing. That most of the providers when we call them, that that’s what they ask for. Because now they’re comfortable with the bare minimum, and now they want to move towards the exceptional performance bonus. Adam: Excellent. So, something to shoot for there for our providers. And, of course, like we said before, a lot of that information is on QPP.com. It’s also on my.eclinicalworks.com, and there for you. So, let’s get into some of the other changes that happened for the program between last year and this year. I think in the original, some of the earlier proposed rules, they said in Year 2 you’re going to have to use a 2015 certified EHR. Is that still the case, or did that change at some point? Pooja: So, for Year 2, using a 2015 certified EHR technology is voluntary. It’s not mandatory. However, if you do use it, you get additional points. So, using 2015 certified EHR technology mostly applies to the Promoting Interoperability category. There are a different set of measures if you’re using 2014 CEHRT versus 2015 CEHRT. And if you are using 2015 CEHRT for those 90 days reporting period for your Promoting Interoperability, you get 10% bonus points. So, there is an advantage to reporting the year 2015 CEHRT —reporting your Promoting Interoperability measures via 2015 CEHRT — however, it is not mandatory to be on 2015 CEHRT for 2018. Adam: Sounds like that’s great news. So, just to put that in plain terms for our clients, Version 10 is a 2014 Certified EHR. So, you can still participate in Year 2 using your Version 10 EHR if you’re not ready to upgrade to Version 11. However, as Pooja was just mentioning, if you do upgrade to Version 11, you are eligible for a 10% bonus on that category there, the Promoting Interoperability category. So, that brings up a great question. If we’re talking about bonus points, I think there’s a couple of other bonus points available in the program this year. Why don’t you tell us about a few of those? Pooja: Sure. I’ll start with the one that had been there in 2017 and go to where it’s the new bonus points that are available in 2018. So, one of the bonus points we spoke about was the 2015 CEHRT, which is the new bonus point. There is one for reporting your CEHRT-eligible Improvement Activities. So, there are Improvement Activities if you are reporting it via CEHRT, you get 10% bonus points for your Promoting Interoperability category. So, an example of an activity that you would use that is CEHRT-eligible is, let’s say bidirectional Patient Health Information exchange. So, something like P2P. If you’re using P2P then you can qualify for that CEHRT-eligible Improvement Activity, and so, the bonus point for Promoting Interoperability. Adam: OK. And that of course P2P is a free tool that’s available to our providers that allows you to send information back and forth electronically between other providers that you may be working with, and as Pooja just mentioned, earn some bonus points for the program. Adam: So, let’s continue then. Tell us about some of the other bonsu points that are available. Pooja: So, the new bonus points which are available for the overall category score — one of them is the small practice bonus point. So, if you have 15 or fewer providers in your organization, you are eligible for five bonus points, which will be added to your overall score automatically. So, CMS looks at your organization and how many NPIs are associated with it. If it’s 15 or fewer, then all the providers in your organization will get those five bonus points. That is only available if you report on at least one category. So, if you do not report at all, of course you do not get the small practice bonus points. So, there are also five bonus points for complex patients. So, if you providers are seeing complex patients, which are identified by the HCC and dual-eligible patients, you get five bonus points in your overall category score. Adam: So, lots of bonus points available for people in the program, making it even easier it sounds like to get to that minimum 15 points in the program and avoid that negative adjustment. So, another concept that is coming out this year is the idea of Topped Out Measures. What does that mean for providers who are participating in the program? Pooja: Yes, so CMS has identified about seven measures that they consider “topped out,” which means consistently they have seen higher performance rates for those measures. And they are considered “topped out” measures. So, if you are reporting that measure as a provider, and even if your performance rate is 100%, you’ll only still get seven points, so seven points is the maximum you can make on a topped-out measure. Adam: OK, so you can still earn points on a topped-out measure, but you can’t get the extra available for it. So, I’m sure your team would help providers and practices determine whether or not that’s a good measure for them or a good fit or if they can make more points somewhere else. Now, of course there is a new proposed rule coming out soon for next year. Is that correct? When do we expect the proposed rule for Year 3 to be available. Pooja: So, 2019. What the providers have to do for 2019, that rule will be available in summer, most likely toward the end of it. Adam: OK, so from the time of this recording, we’re looking forward in the next couple weeks, maybe six weeks, eight weeks, something like that. But of course nothing’s said and done until the final rule comes out, sometime in October, November, or maybe even December, some time like that. Pooja: And these are the timelines we get from CMS. Sometimes it can change, based on if they’re working on something’s that more high priority. Adam: Of course. Sure. Now, with that in mind, with all the program guidelines and technical details that we’ve been talking about here, I think the big question that we want to answer also is, you know, what is available from eClinicalWorks to help providers who are going through this program. How do they even know what their performance is? Pooja: Yes, so we have a great tool that’s available to all the practices, which is the MIPS Dashboard. So, if the MIPS Dashboard is set up, it gets computed every week. So, every week the practices can see their performance, and they can track their performance. All these measures are coming from the documentation that they’re doing in the Progress Note. So, something like tobacco use screening and follow-up, right, they are already asking the patient if the patient smokes or not, and capturing that in the smart form. And that’s all that’s required to meet that measure. The practices or the providers are meeting some of these measures without even knowing that they were, or without even intending to report on those measures. So, the dashboard tells them how well they have done in those measures, and if they need help with how to meet some of the measures if they are not already meeting them, we have some user guides on the support portal, and we also have a wonderful team here who is well equipped to help the providers with all the aspects of the program. Adam: That MIPS Dashboard — is there a cost for the MIPS Dashboard at all? Pooja: No. MIPS Dashboard is available to everyone without cost. Adam: OK, free tool available to everybody without cost to help them participate in the program. And the weekly extractions, of course, that’s a huge thing right? We used to have to wait for the end of the month, or even a quarterly extraction for some of these measures, and of course that could have been hard to make sure that we’re on the right track with our workflows and things like that. But a weekly extraction definitely a huge improvement there. So, the next question of course: We have a dashboard, we know that there are some workflows that we, like you said, maybe not even aware we’re contributing daily to this dashboard. What about the rest of it, however? What if I need help configuring the dashboard or what if I need help understanding the different workflows that go into this? What do we have available for folks? 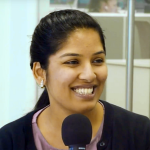 Pooja: So, we have some great videos and documents on the support portal and we also have one-on-one help from our consulting team that helps the practices achieve the highest possible points for the Quality Payment Program. Adam: And, Pooja, how would I get in touch with the right person if I’m a client looking for help in this way? Pooja: So, if you need help, you can always send an email to macra@eclinicalworks.com, or always create a case, which will then be routed to the correct team. Adam: Alright, Pooja, well thank you for all of the information. Hopefully that will help some of our clients feel a little bit more comfortable with Year 2 of the Quality Payment Program, MIPS/MACRA as it’s known. And it sounds like the team is ready and able to lend some assistance as well. Some great tools like the dashboard and things like that. Of course, as Pooja mentioned, you can find a lot of this information on my.eclinicalworks.com. There’s a special area there under the knowledge section, just for MACRA. You can find all the information you need there. And of course, as she said you can always reach out and get some one-on-one assistance as well. If you have any colleagues that you know that might benefit from this information, please share that with them. We’d love to spread the word about the eClinicalWorks Podcast and all of the great information that is available both here and on my.eclinicalworks.com, and of course you can check out our other podcasts episodes on iTunes, YouTube, or my.eclinicalworks.com. For the eClinicalWorks Podcast, I’m Adam Siladi, and thanks for watching.